Asheville is a city of art- both visual and performing. From street corners full of buskers to community concerts to national and international performing artists, opportunity to soak it all in abounds. At Mosaic, we believe in the power of art to keep a community thriving. We support multiple performing arts opportunities in Asheville and the surrounding area. Here, we would like to feature two fantastic series that we sponsor and whose seasons are on the brink of launch. 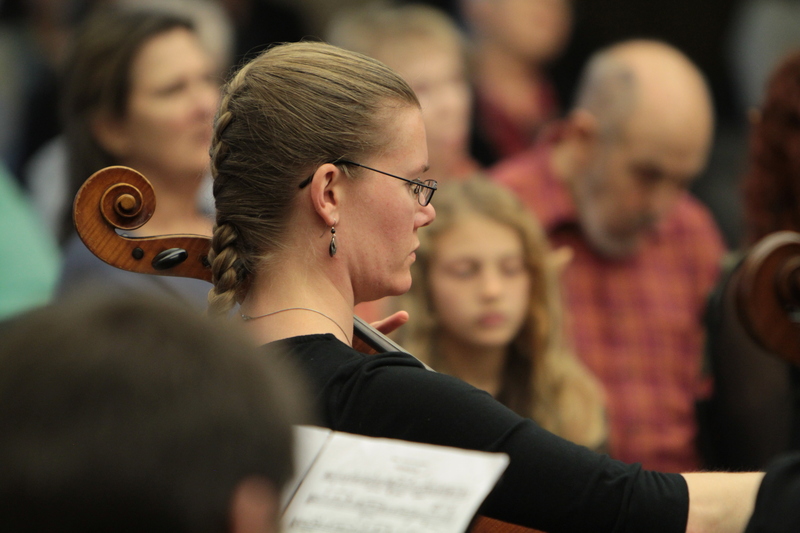 Blue Ridge Orchestra is a group of talented musicians from around Western North Carolina. These volunteers are a mix of professional, amateur and retired musicians. The venues change throughout the season in attempt to bring wonderful music to many of the communities in the Western part of the state. The season is beginning September 17 at Deerfield Chapel in South Asheville with Gaga for Vivaldi. Some of the highlights of the 2016-2017 season include Homage to Haydn, BRO Revels, and a Wedding with Wolfgang. The season closes in April at the Folk Art Center with Cantus Terrae (an Earth Day Celebration). Diana Wortham Theatre is a beautiful and intimate theatre of only 500 seats and is located in the heart of downtown Asheville. Parking is easy at an adjacent parking garage, and there are many top-notch restaurants and bars within easy walking distance to the theatre. Their live performances feature dance, music, comedy, circus arts and theatre throughout the year. This stellar nonprofit organization hosts regional vocational arts performances throughout the year as well as nationally and internationally touring artists in their Mainstage Series performances. This year’s Mainstage Series, running from September 2016 through May 2017, features a spectrum of performing art from the comic relief of The Capitol Steps to leading dance ensemble Parsons Dance to Grammy Award winning Ladysmith Black Mambazo. Mosaic Realty is helping to sponsor the Dance Series this year, enabling Diana Wortham Theatre to continue in their tradition of being a top presenter of dance in the southeast. At Mosaic, we strive to know our community and to be connected to it. For information on real estate in Asheville, please contact Mike Figura at Mike@MyMosaicRealty.com or call him anytime at (828) 337-8190. Everyone knows that fantastic chefs cook with the freshest ingredients. In the Asheville area, there are over a dozen farmers markets that both home cooks and professional chefs frequent to find ingredients. Menus all over town boast meat, cheese and produce from local farms. The Hop Ice Cream Cafe is known to stop by the West Asheville Tailgate Market for farm fresh ingredients that then show up in their incredibly creative ice cream flavors. A new trend that we are seeing is the rise of the food truck, lending convenience to grabbing a bite on the go in every nook and cranny of Asheville. You will find food trucks parked at breweries, festivals, private parties and even gas stations, making it incredibly easy to eat a delicious meal. There is even a dedicated food truck park! Asheville’s hospitable climate is conducive to many crops flourishing. 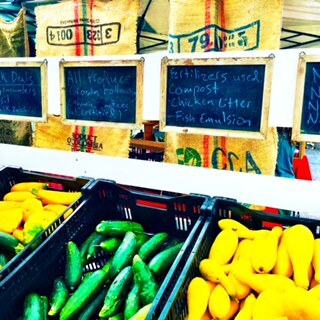 At farmers markets, co-ops and independent grocery stores you can find various local foods throughout the seasons. Late spring brings scrumptious greens and summer yields countless root veggies, squashes, berries and more. 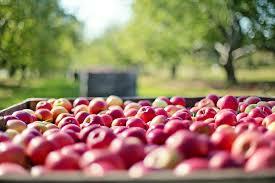 Crisp apples are a fall staple in Western North Carolina. In true Asheville form, there is a huge grassroots effort to make food sustainable in our area. An organization called Appalachian Sustainable Agriculture Project provides support for farmers and education to the community so that we, as consumers, may have sustainable food choices and that farm businesses can continue to thrive. Their efforts help to connect us to the farmers through markets and farm tours. There is nowhere easier than Asheville to find healthy food that suits any diet. Whether you are gluten-free, dairy-free, soy-free, paleo, vegetarian, vegan or any other food sensitive designation, there is a delectable menu waiting for you here! Plant is an entirely vegan fine-dining establishment. Posana, in Pack Square, is entirely gluten-free. Laughing Seed Cafe, an early Asheville restaurant located on Wall Street, pioneered the way for vegetarian food in the area in the 1990s. The Hop Ice Cream Cafe serves soymilk, almond milk, coconut milk and banana ice cream in addition to dairy ice cream. Art, both visual and performing, is a large part of Asheville’s culture, and it carries over into the food realm as well. Gorgeous, colorful combinations of local ingredients grace plates city-wide. Notable culinary displays can be witnessed at Bull and Beggar with their seafood tower. The sushi at Heiwa Shokudo on Lexington Avenue is stunning. Check out the Instagram account of The Junction in the River Arts District to see their food art. French Broad Chocolate Lounge’s handmade truffles are individual masterpieces! The bottom line here is that you can taste some of the most delectable dishes imaginable in Asheville’s restaurants. The Admiral, an unexpected fine dining restaurant in a dive bar’s body, often has reservations booked for weeks in advance. Chef Katie Button churns out amazing tapas at Curate Spanish tapas bar. 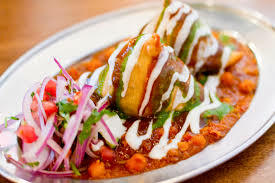 Some of our other favorites are Mela Indian Food, Salsa’s Mexican Caribbean and the Asian cuisine of Gan Shan Station. For the last several years, Mosaic Realty has been a supporter of the annual Feasting for FEAST celebration. FEAST, an Asheville nonprofit, seeks to educate youth and families to grow, prepare and enjoy fresh fruits and vegetables. Their annual Feasting for FEAST celebration brings together many of Asheville’s finest restaurants for a tasting of this fantastic food culture. Funds raised go toward programming that serves over 1500 local children. Get your tickets now for the September 29th event! At Mosaic Realty, we know this small city inside and out. We would love to help you decide where in Asheville to call home. For information on real estate in Asheville, please contact Mike Figura at mike@mymosaicrealty.com or call him anytime at (828) 337-8190. Further Reading: This article by Collections, ETC. names Asheville as one of the coolest small towns to visit! Asheville has long been a destination for outdoor adventure. In recent years it is gaining in popularity as a cycling destination, and the city and local businesses are responding! From increased access to greenways and bike corrals to a plethora of cycling outfitters offering group rides, to growing advocacy efforts, cycling is on the rise in Asheville. One of the many benefits of living in the Western North Carolina mountains is being able to take advantage of the outdoor adventure opportunities all around us. Just 10 minutes southwest of downtown is Bent Creek Experimental Forest, which has miles of gravel roads and single track. 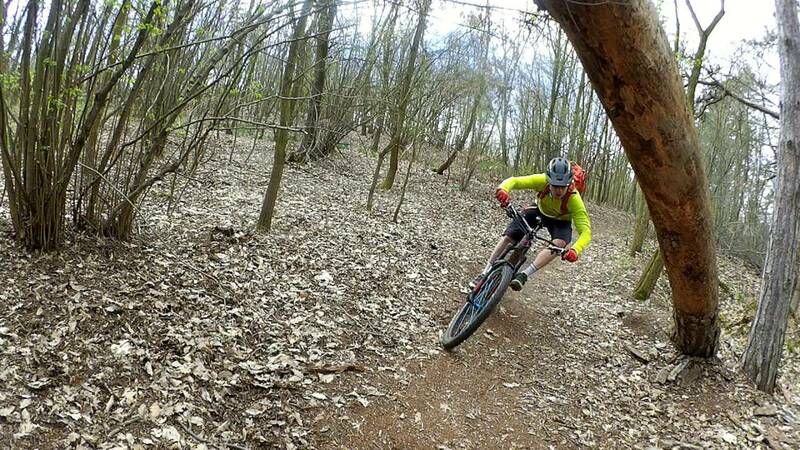 There are many other world class mountain biking opportunities within a 90 minute drive of Asheville at Tsali Recreational Area, Pisgah National Forest and Dupont State Forest. Get your mountain bike fix right in town at Kolo Bike Park, a mountain bike park with trails designed for progression of skills. They also host bike camps at their location in West Asheville. In 2016 they opened a new location for bike rentals near the greenway trails at the Smoky Park Adventure Center. Bailey Mountain Bike Park, located near Mars Hill north of Asheville, is a gravity-specific bike park with over 1000 feet of vertical elevation for an incredible downhill experience. This gorgeous piece of land is being developed as a downhill mountain biking destination. Additionally, lots are available in this development and Mosaic Realty is the exclusive real estate partner of Bailey Mountain. More information by emailing Justin at Justin@BaileyMountainWNC.com. 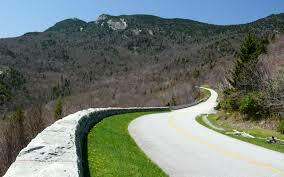 The Blue Ridge Parkway is a nationally renowned scenic highway that cyclists voyage to for the beautiful mountain vistas from the crest of the Blue Ridge Mountains. Buncombe County roads in Swannanoa, Leicester, Hominy Valley and Mars Hill offer fantastic opportunities for road biking and gorgeous rural mountain scenery. Many group rides from local bicyle shops explore these county roads. 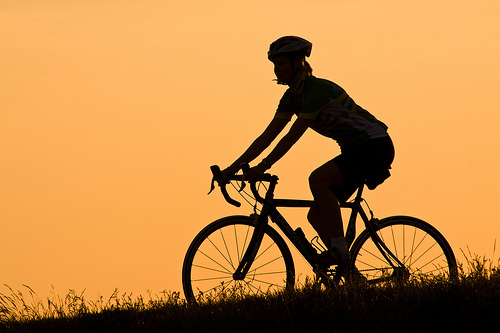 Blue Ridge Bicycle Club seeks to promote fun and healthy lifestyles through cycling in Western North Carolina. They have a comprehensive cycling event calendar on their website. Ring of Fire races are a 12 race training series on the safe and fast track at Carrier Park every other Wednesday from March until late July. There are free kids races as well! Asheville Cyclocross hosts free clinics at Bent Creek Community Park and has a strong presence at the annual Mountain Sports Festival at Carrier Park. They also host rides at Oskar Blue’s REEB Ranch in Brevard. There is an incredible array of options when it comes to getting outfitted for your cycling needs in this city! We suggest trying out some of the group rides offered at shops such as Liberty Bikes, Motion Makers, and Beer City Bicycles to get acquainted with some of the fantastic service providers and their cycling wears. Mosaic Realty is proud to support the 5th annual NC Bike Walk Summit held this year in Asheville. At this event, cycling advocates and experts will gather to address issues surrounding economic benefits of cycling, funding strategies for bicycling and advancing bicycle advocacy in the area. The event is September 16 and 17 this year. Asheville on Bikes is a bicycle advocacy group that works tirelessly to make this a bikeable community. They have successfully installed bicycle corals in various parts of town among other initiatives. They also host a variety of fun-filled cycling events throughout the year such as the Bike of the Irish and Summer Cycle. At Mosaic Realty, we aim to connect you with real estate that fits your lifestyle. We have specific knowledge of the areas of Asheville that may appeal to your interests.